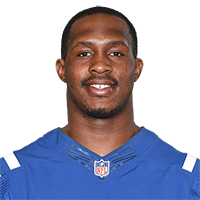 Walker was released from the Colts' practice squad Tuesday, according to the Colts' official site. Analysis: Walker has had three separate stints on the Colts' practice squad, including participation in the team's offseason program and training camp this summer before being waived during final cuts. If the Colts decide to promote other practice squad members to the active roster, there's a good chance Walker could find himself back in Indianapolis. Walker signed with Indianapolis' practice squad Saturday, Mike Chappell of Fox 59 News Indianapolis reports. Analysis: Walker was cut by the Colts to begin the regular season. With Jacoby Brissett being the only backup on the Colts' active roster behind Andrew Luck, Walker would be a strong candidate for promotion were either quarterback to miss any time. Walker was cut by the Colts on Saturday, ESPN 1070 am Indianapolis reports. Analysis: The Colts will go with just Andrew Luck and Jacoby Brissett on the roster, which is a little risky considering Luck missed all of last season with a shoulder injury. Walker will likely be signed to the practice squad. Walker was 5-of-8 passing for 88 yards with a touchdown and no interceptions in Thursday's win over Seattle. Analysis: Walker is battling Brad Kaaya for the third-string quaterback role. However, it's not clear if the Colts will keep three quarterbacks on the roster if Andrew Luck looks fully healthy. Jacoby Brissett is set as Luck's backup.